It is always a pleasure to have Stacey Ballis at CLC. I've read and enjoyed all of her books and am currently reading her latest, Recipe for Disaster. So far, so good. (Why am I not surprised?) 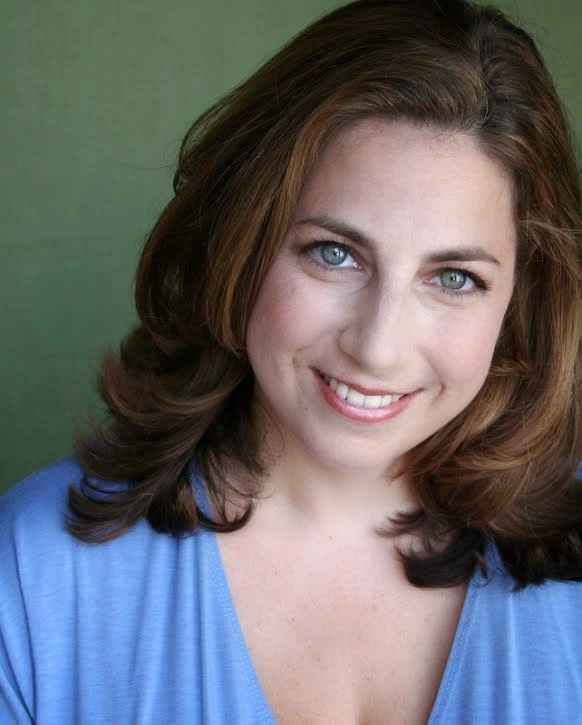 Stacey and I have the Chicagoland Jewish girl connection and I enjoy seeing references to either topic in her novels. Adding to that is her ability to write about food so that it practically jumps off the page into my mouth. If you're a dog lover, you'll notice that she includes dogs in most of her books, as well. There's usually a cute one on the cover. Today, she is here to talk about books and reading, to go along with our March theme. Thanks to Penguin Random House, we have TWO copies of Recipe for Disaster for some lucky US readers! And speaking of recipes...she recently came out with her own book of recipes from her most recent novels, along with 40 others created just for this book. Check out Big Delicious Life with 150 recipes for less than $4.00 on Kindle! You can always find Stacey at her blog, Facebook, and Twitter. How does being an author affect your reading choices and/or experience? Being an author affects my reading choices merely by connecting me with other authors, since I love to support my friends by reading their work! My experiences now do tend to have a little aspect of a tiny note taker on my shoulder, who pays attention to details of life that might make for good material or inspiration. Which book were you hesitant to read, but then completely devoured? The Hunger Games Trilogy… I tend to shy away from YA, its just not my bag, but a few people I trust said I would love it and I consumed all three books in one weekend! Which book are you looking forward to reading this year? Sara Gruen’s At the Water’s Edge, Mirian Toews All My Puny Sorrows, Jason Schmidt’s A List of Things That Didn’t Kill Me, Amelia Morris’s Bon Appetempt, TC Boyle’s The Harder They Come, Toni Morrisson’s God Bless the Child, Jane Smiley’s Early Warning, and of course, all the new releases from my friends, especially: Jen Lancaster’s I Regret Nothing, Sarah Pekkanen Things You Won’t Say, and Liz Fenton and Lisa Steinke The Status of All Things. 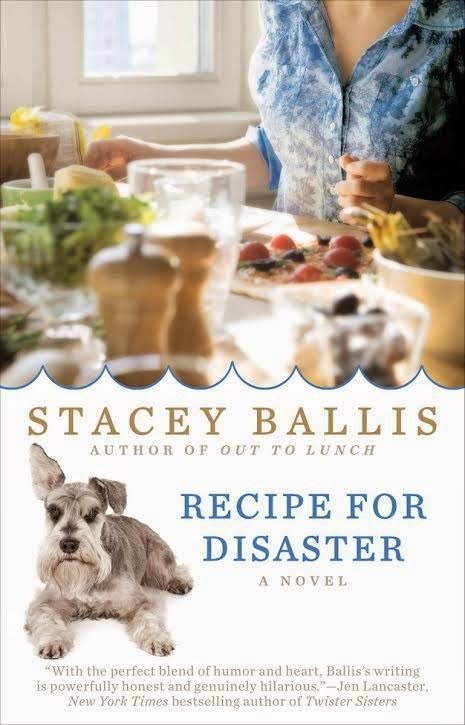 If Recipe for Disaster was made into an audio book, which celebrity would you want to narrate it? Melissa McCarthy. Who I would also like to direct and star in the movie version of every book I’ve ever written. Which book do you think everyone must read at least once in their lives? Anne Lamott’s Bird By Bird…not just for writers, it really explores what it means to live life and approach your work as an artistic process. Thanks to Stacey for visiting with us and to Penguin Random House for sharing her latest novel with our readers. US only. Giveaway ends March 8th at midnight EST. I'd say Jane Eyre. I don't really have a reason except it's my favorite! I love lots of books and my favorite author is Stephen King precisely because he could write about the dust bunnies in my house and make it enthralling. That being said, the one book that I believe everyone in the world should read is The Fault In Our Stars by John Green. It is wonderful and insightful and necessary. Joan Didion's Slouching Towards Bethlehem. My favorite is Little Women! That's a tought one but I'm going to have to go with To Kill a Mockingbird. All time? I can't! But I agree with Stacey - Bird by Bird is one of my favorites. And it's good for everyone, not just writers. i would pick Pride and Prejudice. I think that everyone should read Gone With The Wind at least once. It is my favorite book, which I have read several times. Thanks for having the giveaway. I think everyone should read the bible. That's a hard one since I've read so many books. Tale of Two Cities or Crime and Punishment. For some reason I really liked those when I was young. I also liked Jane Eyre but not Wuthering Heights so much. So hard to narrow down, but I'll say A Tale of Two Cities. Pride and Prejudice, because Jane Austen's work is amazing. Rebecca was one of the books that made me love reading when I was young.